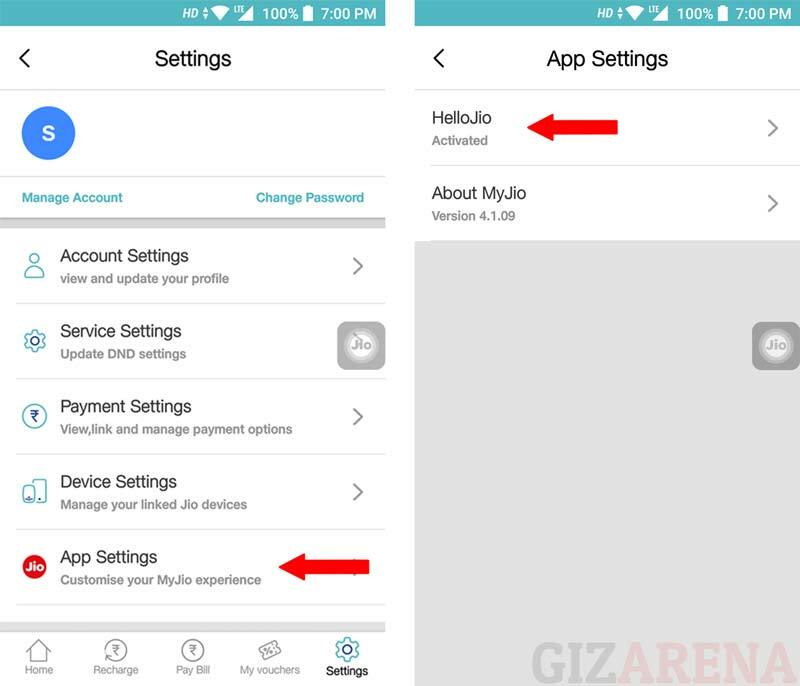 MyJio app is an official app from Jio to control your Jio number and it will help you to recharge, Activate DND, Check data usage details etc. 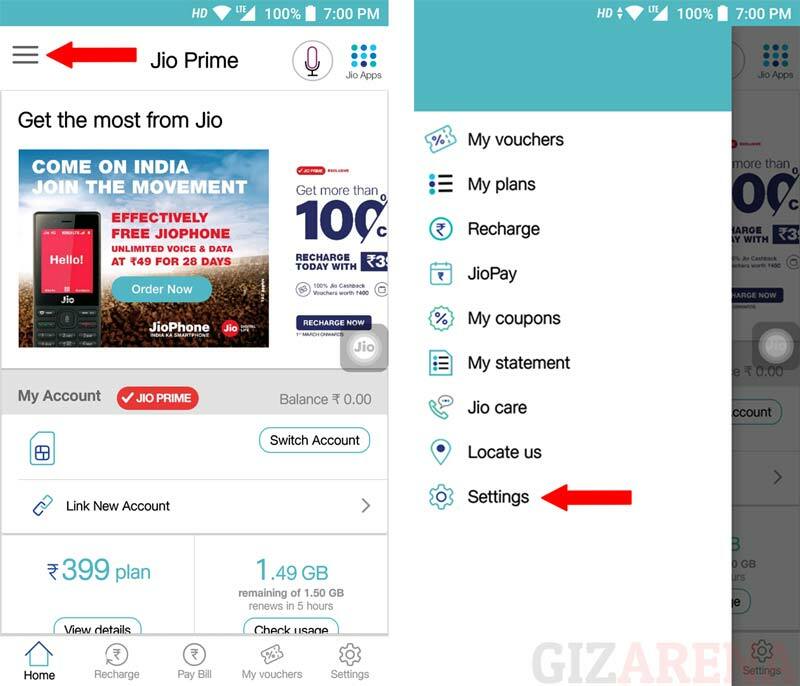 In December 2017, Jio has released an in-house Virtual Assistant called HelloJio to help you Open apps, Make calls etc. using your voice. If you open the MyJio app, a small button with Jio logo will float on the screen and the assistant will open once you tap on the button. You can even move this button to any part of the screen simply by dragging it to a location you want. Although the Assistant does its purpose, it will start floating on the home screen even after closing the MyJio app. Sometimes it will slow down your phone too. You can easily close it by long pressing the button and dragging it to the bottom of the home screen. But, it will pop up again after opening the MyJio app. The best way to get rid of the assistant button is to disable it. 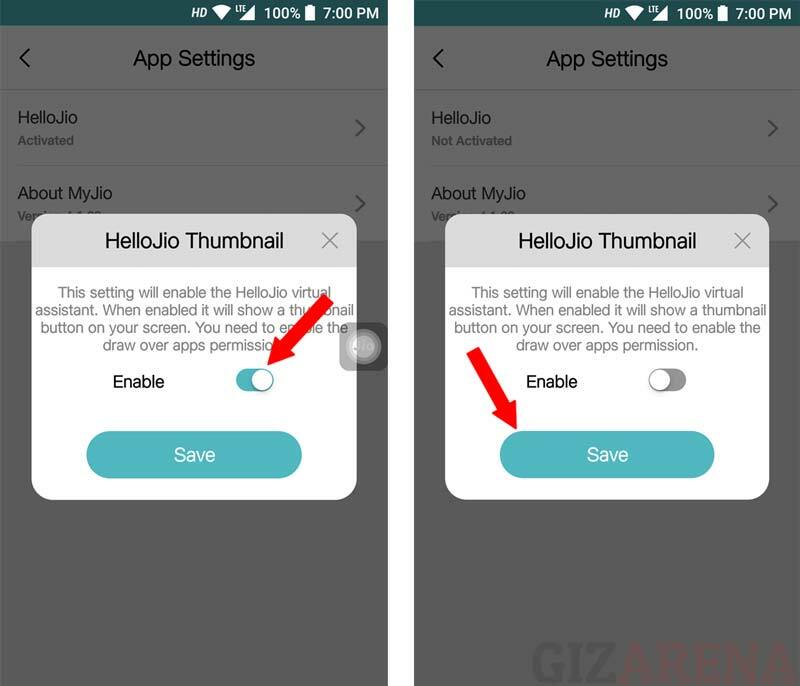 Follow the below tutorial to disable HelloJio Virtual Assistant on your Android Smartphone. This completes the tutorial. For your information, even after disabling the floating button, you can still use the HelloJio Virtual Assistant by tapping the Microphone Icon which is located at right side of the Menu bar. So whats your take on HelloJio Virtual Assistant? Do let us know in the comments. Follow GizArena on Facebook and Twitter for latest tech updates.